Astro, a vocalist and trumpet player, broke the news to his bandmates - who scored hits with songs such as One In Ten and Red Red Wine - on Friday, taking them by surprise. The group's best-known singer Ali Campbell left in 2008 along with keyboard player Mickey Virtue. Four of the remaining members including Astro (whose real name is Terence Oswald) were declared bankrupt two years ago. The band responded to the latest departure by saying he had let down fans by walking out on his upcoming touring commitments. Astro said the group had been "like a rudderless ship" and he said his heart was not in their most recent album Getting Over The Storm, complaining his contribution had been as a backing vocalist. He said: "I cannot bear to see what we are offering to our loyal fans who have stood by us through thick and thin. I think it's clear that I've had enough of being depressed, as I'm sure other members are, but the difference is I'm not prepared to continue to be miserable at home and work." 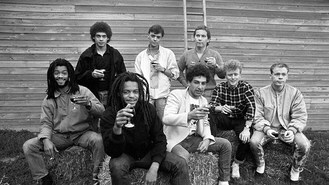 In a statement the group said: "UB40 are shocked and saddened by not only Astro's decision to quit the band, but also his refusal to honour his touring commitments. We have several tours booked in the coming months, including our biggest UK tour for three years, and he has not only let us down but also our fans. "While we are naturally disappointed that Astro will not be with us at these shows, UB40 will continue and are looking forward to a positive 2014."